An architect and a gentleman of design whose work has brilliantly stood the test of time. This applies to his many pieces of furniture, everyday items and buildings. Antonio Citterio represents the best of Italian design and has retained his steady focus on people’s requirements throughout his success. He finds the right form for the right moment, perfectly matching what we need and want as well as what is right for us. Antonio Citterio combines home décor and bathrooms, making them a place to relax. The Axor Citterio collection has a clear focus on simplistic luxury by beautifully giving life to the richness of water. Designs that initially surprise, such as the pioneering square bathroom mixers, quickly give rise to a sense of certainty that we are looking at a timeless design of extraordinary quality. The conflict between squares and curves and details that go unnoticed until the second look make the mixers true gems. 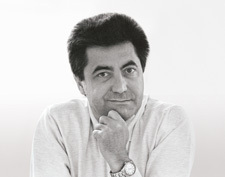 The designer and architect Antonio Citterio also understands the effect that his products have on a room. This bathroom collection tells the story of city life, inspired by modernity, metropolises and Milan. Three Ms and a creative mind who lets himself be infected by the flair of the Italian design metropolis in which he lives. 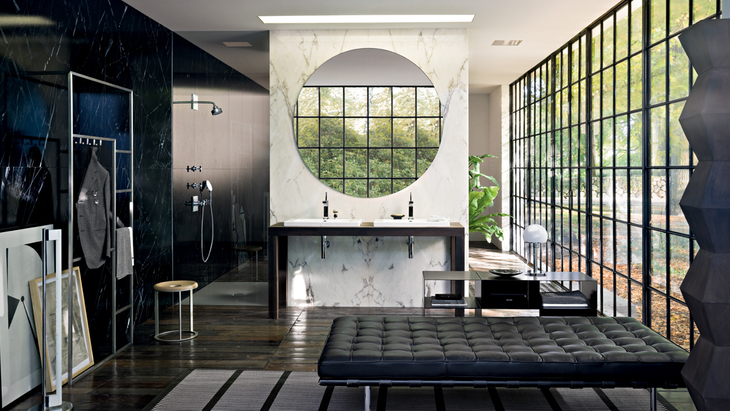 Axor Citterio M represents the fine art of timeless design and can be cleverly integrated into bathroom styles that are as diverse as city life itself. A creation that could only be this perfectly conceived by a designer with a refined sense of style – a designer from Milan. Born in 1950 in the north Italian city of Meda, Antonio Citterio opened his first office at the age of just 22, before he had even completed his architecture degree in Milan. Since the 1990s at the latest, the successful architect has also been one of the most internationally sought-after designers, as is clear from the portfolio of renowned companies for which he works: world leading design brands such as Vitra and B & B Italia (furniture), Flos (lighting) and, for several years now, Axor, the Hansgrohe AG designer brand, all successfully implement his ideas. However, project developers and hotel chains also benefit from the Milan-based designer’s esprit and design ideas. Citterio’s CV is adorned with luxury lodgings for the prestigious Bulgari hotel chain, a luxury spa in Moscow and the title “Royal Designer”, which has been awarded to him by the British Royal Society. The charming father of two regards passing on his expertise through his position as a lecturer at the Academy of Architecture in the Italian-speaking region of Switzerland as a simple matter of course. The reason for the success of his architecture and design projects is both simple and obvious: he does not try to conform to the Zeitgeist. He aims to tease out objects’ dormant potential rather than simply using them as a “look”. The modest boss of around 50 employees continually repeats that he is on a constant search for true and authentic work and that he detests bad design. Fortunately, many prestigious employers feel the same way and his clientele are filled with enthusiasm for his work.